Pay a visit to St. George Parish in Bourbonnais, IL and the first thing you’re likely to notice are the extensive gardens spread across the church grounds. 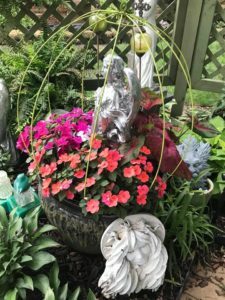 The St. George Garden Club formed eight years ago to beautify the parish and add peaceful, contemplative places for parishioners to reflect. 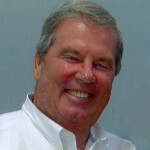 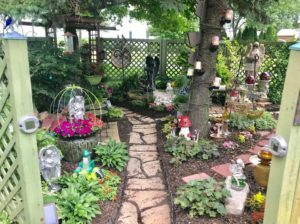 Over the years, the gardens have blossomed and grown. They are broken up into islands of color. 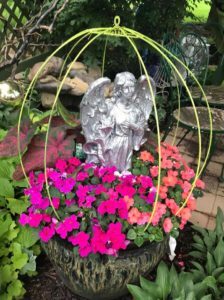 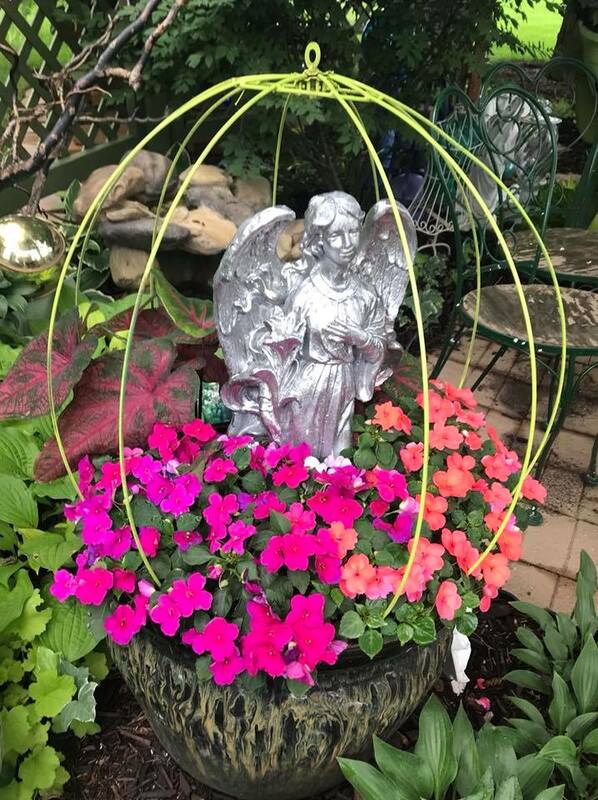 Many of them include roses, but they also include varieties of perennials, tall grasses, lilies, hostas, ferns and annuals, as well as statues, benches, lanterns and religious icons. 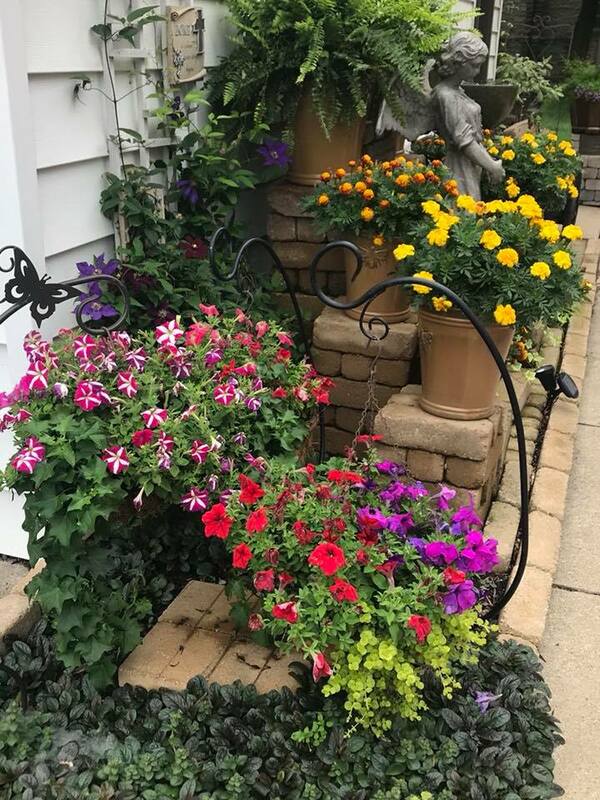 This year’s gardens literally burst with color, and bring joy and a feeling of inclusion to all who visit the parish. As a result of this collaborative effort by Garden Club members, they have helped this Viatorian parish build a community of faith, which is central to the Viatorians’ mission.